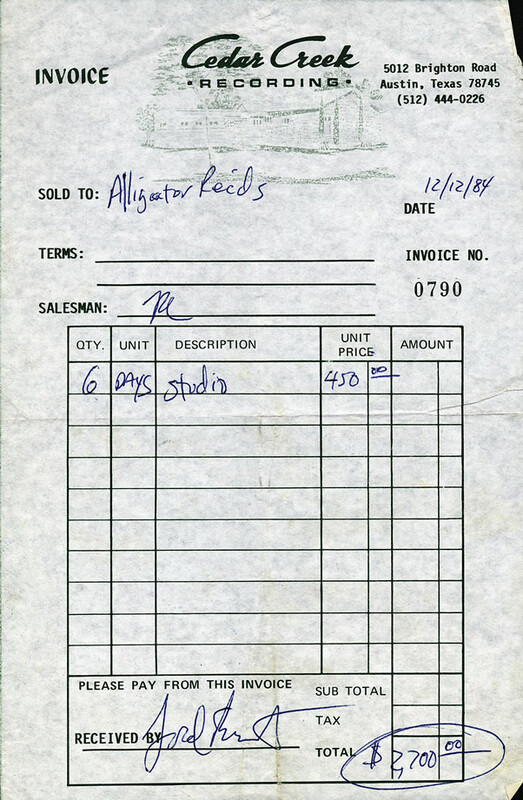 A recording Cedar Creek Studios invoice to Alligator Records. 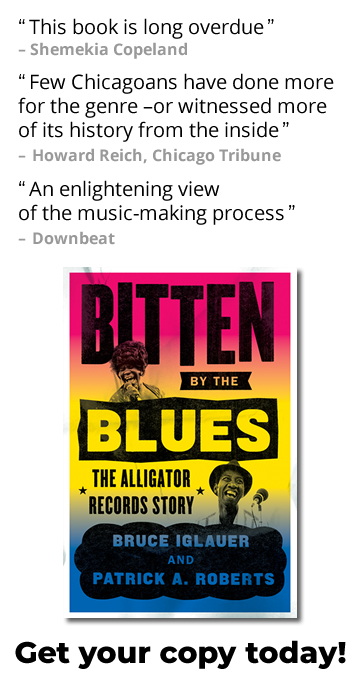 The record was mixed later that same month at Austin Recording Studios. 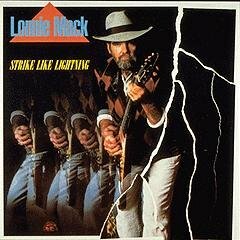 Lonnie Mack’s Strike Like Lightning, released the following year, in 1985 © Alligator Records.